Welcome to UC Santa Cruz and the Office of Research. The partners’ portal area of our site is designed to provide potential partners and partners with a place to find everything they need with respect to opportunities to partner with us in relation to our campus’ remarkable range of innovation. The University of California is the world’s leading public research university. The ten UC campuses, three national labs, and numerous best-in-world institutes provide an unrivaled depth and breadth of research excellence. Naturally, this excellence is a direct reflection on our remarkable community of UC faculty, researchers, and students, and our graduate curricula. It also reflects our web of national and international collaborations. Innovation at the cutting edge of R&D are the institutional goals and mandate of the University of California. 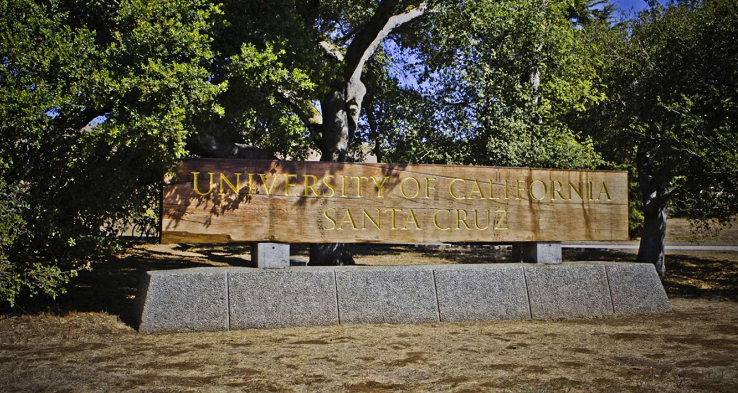 UC Santa Cruz is one of the smaller UC campuses. Since unlike other UCs we don’t have a medical school, and we don’t have any professional schools at this time, we have to be selective about where we concentrate our resources in order to achieve our best-in-world areas of reputation. Areas of excellence include bioinformatics, data storage research, marine mammal research, computer game design and other areas of computational media, and astronomy and astrophysics. Although UCSC is too small to be among the best at everything, we are big enough to be among the very best in the areas where we choose to do so. In 2015, Times Higher Education ranked UCSC as #1 in research influence among global research universities in their annual World University Rankings. UCSC earned the top slot with a score of 100, tying MIT and just edging out Rice University with 99.9. The score is based on counting the average number of times publications by UCSC researchers were cited. This is not a fluke; UCSC has remained in the top three since this first place finish in 2015. This partner portal area is designed to make it easy for potential partners and partners to find what you need quickly and easily. Find out more about our research in the academic divisions; learn about our institutes and centers of excellence; find out about our present licensing opportunities or about how to participate in industry consortia groups or our commercialization programs. We look forward to exploring how we might work together in these ways or in others not listed. Once again, welcome to UC Santa Cruz.